Finding the right fit for college is critical, which is why we're excited to get to know you better. Admitted students and their families are invited to come spend the day with us, learn more about our majors and career paths, and get information about the important next steps you’ll need to take to become part of the Wolfpack Family. Admitted students and parents for the incoming class of Fall 2019 and Spring 2020 are invited to attend Admitted Student Visitation Day. Final directions, parking permits and a schedule of events will be emailed one week prior to the event. Each Visitation Day will take place from 8:00 a.m. – 2:00 p.m. with optional tours from 2:00 p.m. – 4:00 p.m.
We encourage all students admitted to one of our majors to attend one of these events. However, if your schedule does not allow, NC State will be also be offering additional opportunities to visit through their Experience NC State program. Parents may also choose to attend special seminars throughout the day on housing, financial aid, campus safety, and more. The College of Natural Resources Student Ambassadors will host a special meet and greet from 6:00-7:30 p.m. on Sunday, April 7 for all out-of-town and local students. 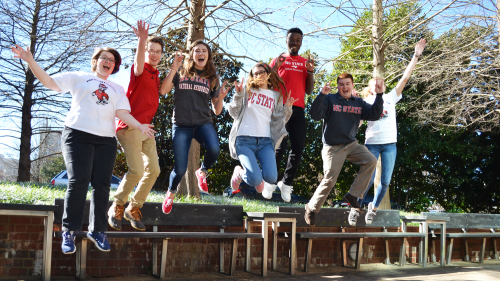 We encourage you to hang out with other admitted students, have fun learning about NC State traditions, and eat Howling Cow Ice Cream! The meet and greet will begin and end in Jordan Hall Addition, located at 2720 Faucette Drive, Raleigh, NC. This event is free for all admitted students and their parents. 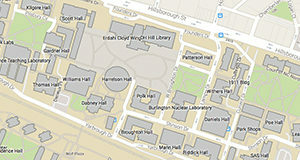 Ambassadors will treat admitted students to lunch at Fountain Dining Hall. Guests will have time to purchase lunch on their own. For questions regarding this program, contact Tiffany McLean, Director of Recruitment, at cnrrecruitment@cnr.ncsu.edu or call 919.515.5510. You’ve done what it takes to be admitted by NC State. Now it’s time for you to accept the invitation. To confirm your enrollment, log in to your wolfPAW account and respond to our offer of admissions under your To Do List. Already know you'll be joining us in the fall and ready to start looking for extracurricular activities? Learn more about our Engaging Leaders Program for incoming freshman and transfer students.